Watch this animation to learn how students get offers to NYC public schools. EarlyLearn NYC is free or low-cost child care and education provided through the Administration for Children's Services for children from six weeks to four years old. If you qualify, your child can begin a program any time during the year. Apply to free, full-day 3-K programs the year your child turns three. In-district families have priority to attend 3-K in their district, but all NYC families are welcome to apply. Apply to pre-K programs the year your child turns four, even if they are already a 3-K student. All four-year-old NYC residents who apply are guaranteed a pre-K offer. Your child will start kindergarten in the calendar year they turn five. Apply even if your child is a current pre-K student. You can enroll your child in elementary school anytime during the year at your zoned school. If you don’t have a zoned school or need support, visit a Family Welcome Center. Gifted & Talented (G&T) programs are one way that New York City meets the needs of exceptional students. Schedule your child’s G&T test in the fall before they enter kindergarten, first grade, second grade, or third grade. Students with qualifying scores on the test can then apply to G&T programs in the spring. Apply to middle school during the fall of your child’s fifth grade year (or sixth grade year for students in K-6 schools). You can enroll your child in middle school anytime during the year at your zoned school. If you don’t have a zoned school or need support, visit a Family Welcome Center. Apply to Round 1 of high school admissions during the fall of a student’s eighth or (first-time) ninth grade year. There is also a Round 2 of admissions in the spring, but there are fewer options. You can enroll in high school anytime during the year at a Family Welcome Center. Eighth grade and first-time ninth grade students can also audition for LaGuardia High School and/or test to apply to the eight specialized high schools. Schedule your test or audition in the fall by the deadline. Specialized high schools admissions are currently closed. 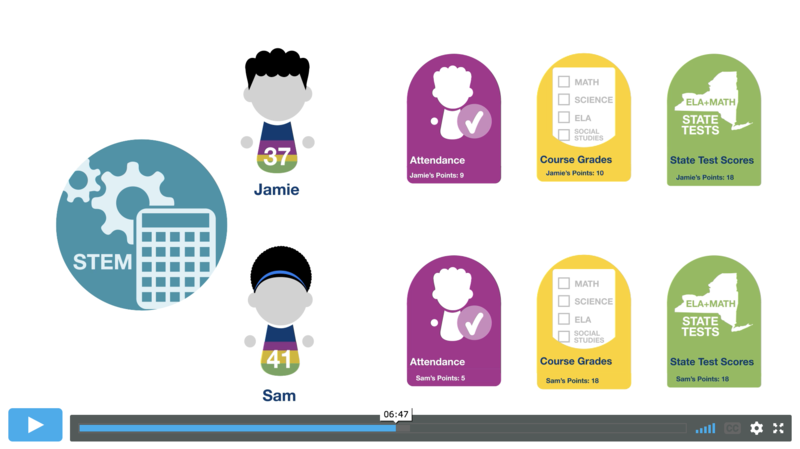 Watch this animation to learn how students get offers to screened high schools and the specialized high schools. Screened schools make offers based on students' academic records, attendance, test scores, and/or other factors like auditions, interviews, or portfolios.